Saarinen, O.w.. "Sudbury". The Canadian Encyclopedia, 12 March 2019, Historica Canada. https://www.thecanadianencyclopedia.ca/en/article/sudbury-greater. Accessed 23 April 2019. Greater Sudbury, Ontario, incorporated as a city in 2001, population 164,689 (2016 census), 163,067 (2011 census). The judicial seat for the District of Sudbury, the City of Greater Sudbury is located on the western shore of Ramsey Lake, about 60 km north of Georgian Bay. When incorporated in 2001, it replaced the former Regional Municipality of Sudbury (1973–2000) and City of Sudbury (1930–2000). The city owes much of its development to the mining industry, in particular the mining of nickel. The largest urban area in northeastern Ontario, Greater Sudbury now offers a concentration of business, cultural and educational services and is recognized for the impressive regreening program that it has been carrying out since the 1970s. Human inhabitation of the Sudbury area began approximately 9,000 years ago, following the retreat of the last continental ice sheet. By the time that Europeans arrived, the region north of Lake Huron	and around Lake Superior had been dominated by the Ojibwa people for hundreds of years. One of the largest Algonquian-speaking nations, the Ojibwa were fishers and hunters who typically lived in temporary encampments. 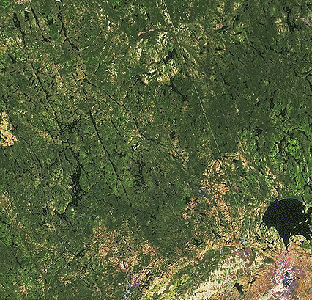 In contrast to the more temperate, fertile areas of what is now southern Ontario, the area around Ramsey Lake was relatively sparsely populated. The first major demographic shifts in the region began in the mid-17th century, as the result of the French fur trade based in Sault Ste. Marie. As Ojibwa bands came to rely increasingly on European goods, the hunt for fur-bearing animals became highly competitive, forcing some bands to hunt farther afield and causing many conflicts. 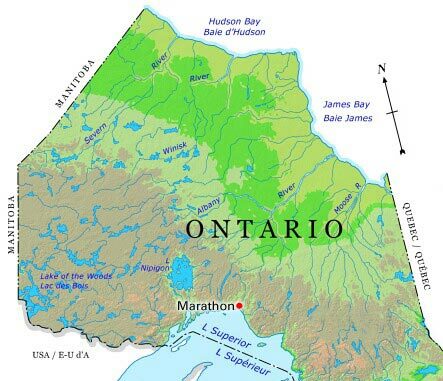 The Ojibwa maintained more harmonious relations with the French than with the British; while the former focused on the fur trade, the latter hoped to colonize the area in the long run and develop mining	there. In the early 19th century, as White men began arriving in large numbers in search of copper and other metals, tensions rose. In the mid-19th century, the Ojibwa submitted written complaints to the British colonial government about Europeans trespassing on Ojibwa land, but these complaints were ignored. Over the following years, the number of White merchants, prospectors and land surveyors in the region increased substantially, but the town of Sudbury was not established until the 1880s, with the arrival of the Canadian Pacific Railway (CPR). In the winter of 1882–83, about 3,350 workers arrived on the site of modern Sudbury. By March 1883, they had erected the town’s first buildings. What was initially slated to be merely a depot for the CPR	became an increasingly populous company town. CPR Superintendent James Worthington named it Sudbury after his wife’s birthplace in England. 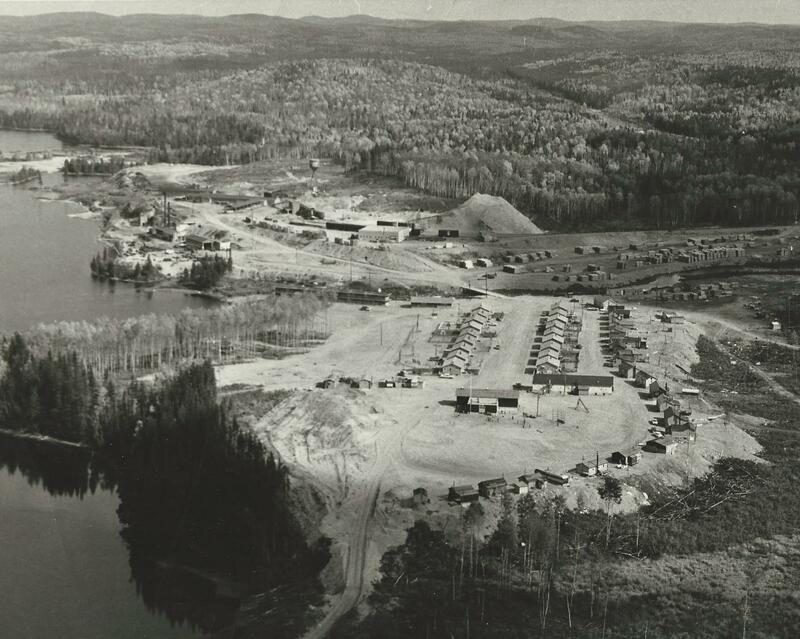 Few imagined at the time that this remote outpost, surrounded by swamps and rocky outcrops, would one day become the largest community in northern Ontario. 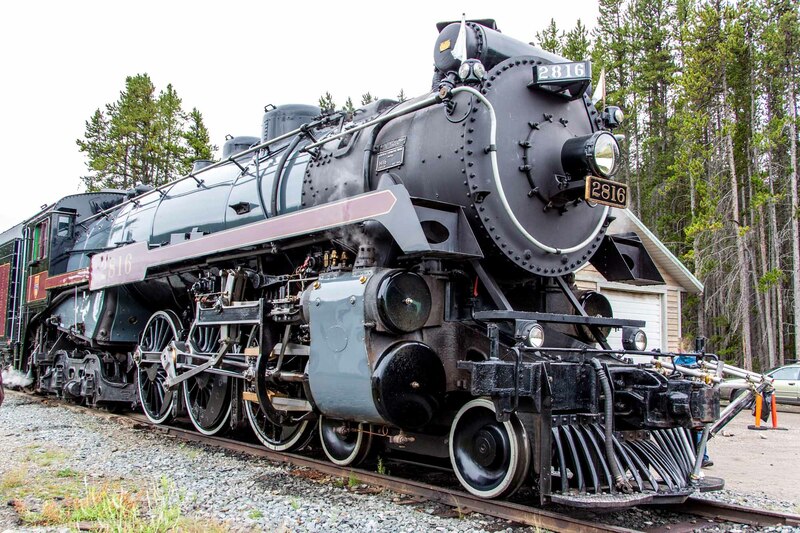 Restored steam engine Canadian Pacific 2816, named the Empress. Photo taken 12 August 2010. The timber trade was one of the first local industries and was modest in scale. 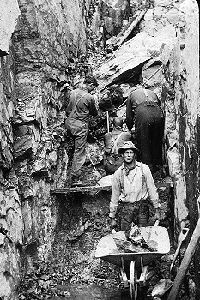 But business activity in the town of Sudbury began to pick up considerably after 1885, when numerous deposits of copper and other metals were discovered in the Sudbury Basin. Rumours that the Ojibwa	had mined copper in the area in the past, along with more recent developments such as ore discoveries on the upper Michigan Peninsula and reports from the Geological Survey of Canada, drew attention to the local mining industry. The Sudbury Basin indeed proved to be one of the most unusual geological formations in Canada. Formed by the impact of a large meteorite some 1.8 billion years ago, this basin measures about 60 km by 30 km and contains rich deposits of copper, nickel	and platinum. Sudbury's early growth was constrained by railway lines and the area's topography, as well as by the lack of a sound tax base (the community did not begin receiving any taxes from the mining industry until the advent of regional government in 1973). Settlement in the community gradually extended outward along the major roads, which were separated by rocky ridges. New residential areas sprang up in the West End, Donovan, Minnow Lake, New Sudbury and Lockerby districts. In the late 19th and early 20th centuries, large numbers of French Canadians began farming the agricultural valley north and west of the town. Encouraged by French Canadian nationalist efforts to bring French Canadian immigrants back from the factories of New England to “occupy” northern and western Canada, missionary priests established rural parishes where villages with large French-Canadian majorities emerged as the 20th century began. At first these French Canadians worked mainly in logging and farming, but soil depletion and a growing need to supplement their income eventually led many of them to go to work in the mines and sometimes to move to particular neighbourhoods, such as Moulin-a-Fleur (the Flower Mill), downtown, and, starting in the 1950s, the suburb of New Sudbury. This indiscriminate sprawl ultimately led to the establishment of regional government in 1973 and the new unified city in 2001. As the result of logging, forest fires and the pollution caused by the practice of roasting ore on open wood fires to extract the desired minerals from it, vegetation in Sudbury became sparse, consisting mainly of poplar and birch	species. Sudbury thus gained the unenviable reputation of being one of the most unattractive urban centres in Canada. 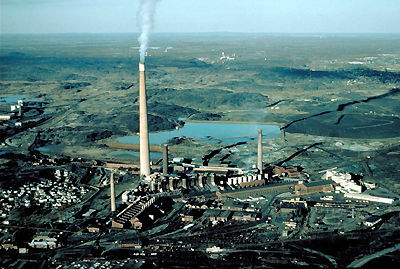 But in 1973, Sudbury began to transform its urban landscape through the world's largest urban regreening	and environmental rehabilitation program. From 1978 to 2017, over 3,400 ha of badly damaged land was restored and 9.7 million deciduous and coniferous	trees were planted. In recognition of these efforts, Sudbury has received a number of awards since 1986, including the Government of Canada Environmental Achievement Award, the United States Chevron Conservation Award and the Local Government Honours Award from the United Nations (presented at the Earth Summit in Rio de Janeiro, Brazil in 1992). 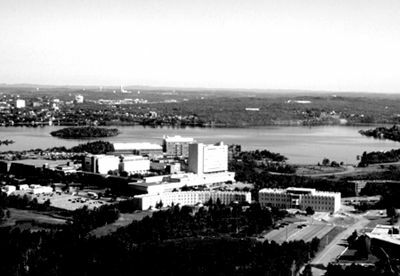 A view of Science North, Ramsey Lake and Bell Park in Sudbury, Ontario. Sudbury also has many lakes: 219 within city limits, including Ramsey Lake, whose surface area of 8.25 km2 makes it the largest lake comprised within the limits of one city in North America. Sudbury’s urban landscape also includes several buildings of architectural interest: the Bell Mansion, the churches of Saint-Jean-de-Brébeuf and Christ the King, the Science North complex, the Municipal Complex, the Canada Revenue Agency Tax Centre, and the McEwen School of Architecture. The population of Sudbury was only 2,027 in 1901, but doubled in each of the next three censuses (1911, 1921 and 1931). As the result of a major amalgamation and annexation in 1960, it rose to 80,120 in 1961. With another expansion in 1973, the city’s population reached 91,829 by 1981. In 2001, the cities of the former Regional Municipality of Sudbury (Capreol, Nickel Centre, Onaping Falls, Rayside-Balfour, Sudbury, Valley East and Walden) were incorporated into the new city of Greater Sudbury, with a population of 155,601. As of 2016, the city’s population was 164,689. As of 1901, English Canadians and French Canadians constituted about 55 and 35 per cent of Sudbury’s population, respectively. Although they lived in different neighbourhoods and attended different churches, the two groups got along fairly well. Today, Sudbury remains home to one of the largest concentrations of Franco-Ontarians in the province: in 2016, 26 per cent of the city’s residents reported French as their mother tongue. The city’s large French community is also reflected in its largest ethnic groups: According to the 2016 census, Sudbury residents citing Canadian origins make up the largest ethnic group, at 47.1 per cent of the population, followed by French (37.2 per cent) and English (19.9 per cent). Visible minorities account for just 1.2 per cent of city residents, with South Asian, Chinese, Black and Arab people making up the largest communities within this group. Sudbury is also home to a large Indigenous community, at 17.5 per cent of the population. 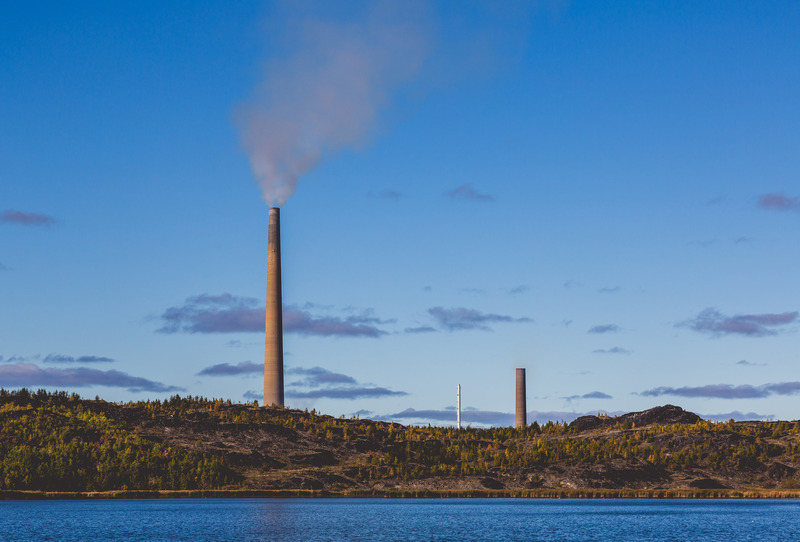 Smoke stacks from the Vale Copper Cliff Nickel Refinery in Sudbury, Ontario. Photo taken on 9 October 2016. Smelter at Copper Cliff, Ontario. 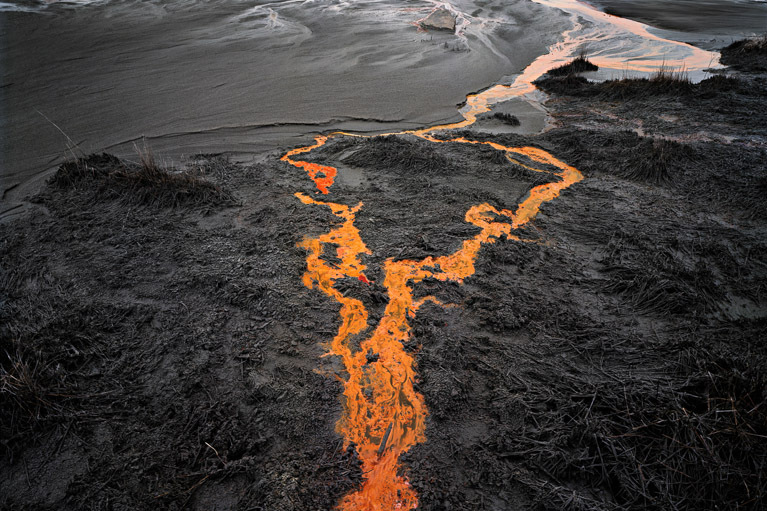 Image: \u00a9 Edward Burtynsky, courtesy Nicholas Metivier Gallery, Toronto. Sudbury has traditionally been known as a mining town. Its first mining company, Canadian Copper, was founded in 1886 and began smelting operations in 1888. In 1902, Canadian Copper merged with Orford Refining Company to form the giant International Nickel Company of Canada (INCO Ltd.). By 1915, Sudbury mines were providing 80 per cent of the world's production of nickel. The supremacy of the Sudbury Basin was strengthened by the founding of Falconbridge Nickel Mines (now Glencore’s Sudbury Integrated Nickel Operations) in 1928. To this day, the Sudbury Basin remains one of the world's largest producers of nickel. In addition, local ore deposits contain lead, zinc, silver, gold, cobalt, platinum, selenium and telluride. 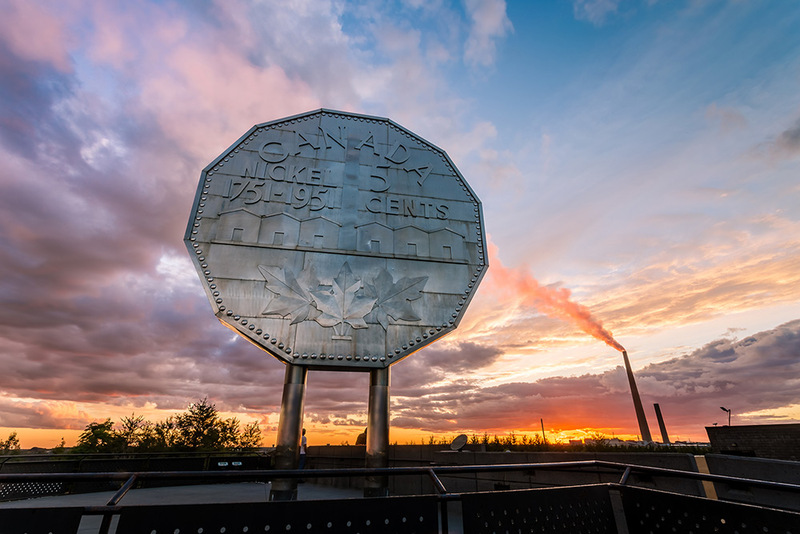 Not surprisingly, Sudbury’s growth has been characterized by cycles of boom and bust closely associated with fluctuations in world demand for nickel. 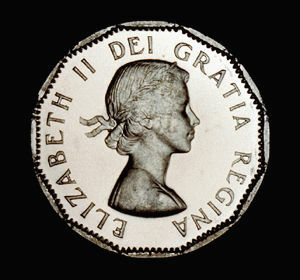 In fact, during its first few years in business, Canadian Copper struggled to find a market for nickel, but in the 1890s, the mineral started to be used in the manufacture of armour plating for military vehicles, thus forging a link between the local mines and the military that continued for several decades. Despite this decline in mining employment, mining output in the Sudbury area remains high, thanks to the introduction of continuous mining techniques (which allow an unbroken flow of ore from the mine face) and innovative technologies. In fact, Sudbury has become a major centre for development of mining technology. As the result of the city’s success in land reclamation, it has also become a world centre for environmental science related to mining. The city is now home to more than a dozen research institutes. Those affiliated with Laurentian University include the Centre for Research in Human Development, the Mineral Exploration Research Centre, the Centre for Excellence in Mining Innovation, the Cooperative Freshwater Ecology Unit, the Geomechanics Research Chair, the Institut Franco-Ontarien, the Institute for Northern Ontario Research and Development, and the Centre for Rural and Northern Health Research. 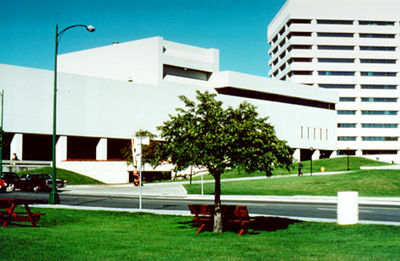 The Northern Centre for Advanced Technology is housed at Cambrian College. In Sudbury, Ont (courtesy Laurentian University). 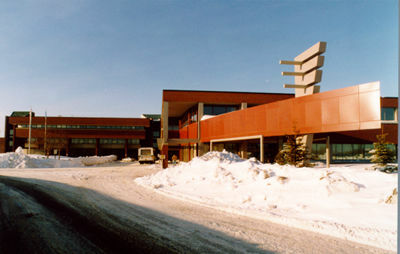 Located in Sudbury, Ontario, Cambrian College is dedicated to Applied Arts and Technology. The deepest underground neutrino detector in the world is located in Sudbury and operated by the Sudbury Neutrino Observatory. Fully operational since 1999, this observatory is collecting data that will provide revolutionary insights into the properties of neutrinos (a type of elementary particle) and the core of the sun. The observatory places Sudbury at the centre of international research on the physics of subatomic particles. Sudbury has also become an important centre of higher learning. In addition to its Catholic and public school systems, the region has public English-language secondary schools, private Catholic colleges (Notre-Dame, Marymount, St. Charles and Sacré-Cœur) and (since 1969) public French-language secondary schools. The University of Sudbury was founded in 1957 by French-Canadian Jesuits. In 1960, it became the Catholic component of the new Laurentian University, a bilingual, non-denominational federation of several colleges. Sudbury also offers postsecondary vocational education at Cambrian College, founded in 1967. In 1995, the French-language component of Cambrian College became independent and was chosen as the main campus of Collège Boréal, the second French-language college in Ontario. As of this writing, however, efforts to establish a French-language university in Sudbury have not succeeded. Many government jobs, particularly with provincial ministries and agencies such as the Ontario Geological Survey, have relocated to Sudbury. In the financial and business services sector, Sudbury has become home to many call centres and the northeastern Ontario headquarters for many banks. Ontario’s French Language Services Act (1986) designates Sudbury as a region where provincial services are provided in both English and French. 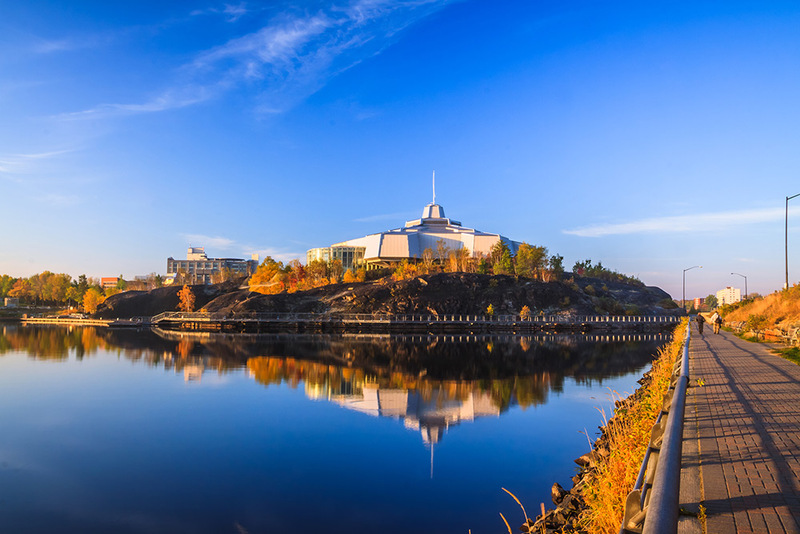 Following construction of the Science North complex in 1984, along with its IMAX movie theatre and the Big Nickel attractions at its Dynamic Earth museum, Sudbury has become one of the most popular tourist destinations in northern Ontario. 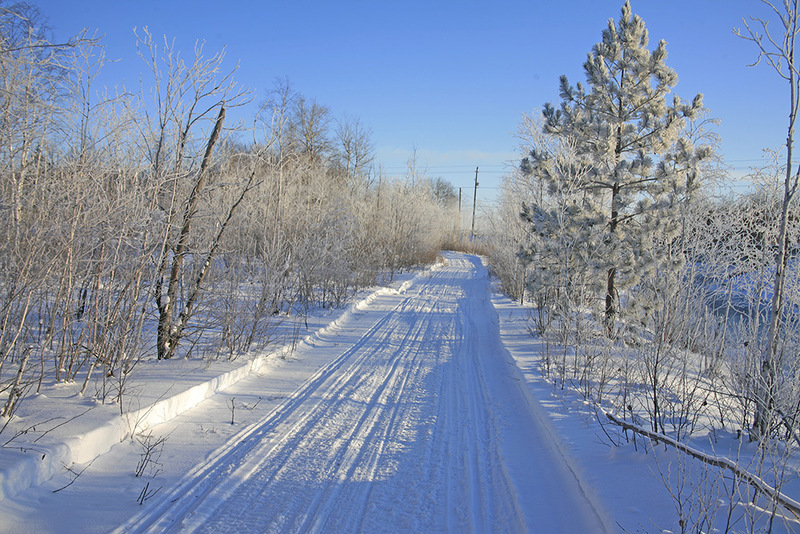 In winter, the Sudbury Trail Plan maintains 1,200 km of snowmobile trails. Snowmobile trail near Fielding Memorial Park, Sudbury, Ontario. Rail connections were established between Sudbury and Sault Ste. Marie in 1887 and between Sudbury and Toronto	in 1908. Construction of highways to North Bay and Sault Ste. Marie began in 1912. In 1956, Highway 69 south to Gravenhurst was opened. Construction of the first road to Timmins, Highway 144, was completed in 1970. The Sudbury Municipal Airport has provided air service to several other Ontario cities since 1954. Sudbury is also a major media centre. The region has several newspapers, including the Sudbury Star, Northern Life, Le Voyageur and Northern Ontario Business. Radio came to Sudbury in 1947 on the English-language radio station CHNO and the French-language CFBR. Regional affiliates of CBC/Radio-Canada	and other commercial radio stations were added starting in the 1970s. Television appeared in 1953 on CKSO, now a member of the CTV network. From 1973 until the incorporation of the megacity of Greater Sudbury in 2001, the Sudbury area had two levels of government: a regional council with 20 members and a chair, and seven local councils. In 2001, this structure was replaced with a single municipality comprising 12 districts, with 12 councillors and a mayor. Sudbury’s transformation into a centre for education has also generated vibrant growth in cultural activity since the 1970s. French-language cultural institutions established since that time include the Théâtre du Nouvel-Ontario (a Franco-Ontarian	theatre that mounts original productions in French), Les Éditions Prise de parole (the first Franco-Ontarian publishing	company), and La Nuit sur l’étang (the first annual festival of emerging francophone music). Greater Sudbury also has two English-language repertory theatres (the Sudbury Theatre Centre and Theatre Cambrian), as well as art galleries	(the Art Gallery of Sudbury and the Galerie du Nouvel-Ontario), museums (the Flower Mill Museum and the Copper Cliff Museum), a symphony orchestra, and annual bilingual festivals and other activities, including the Northern Lights Festival Boréal, Cinefest Sudbury, the Blueberry Festival, the Snowflake Festival and Up Fest. 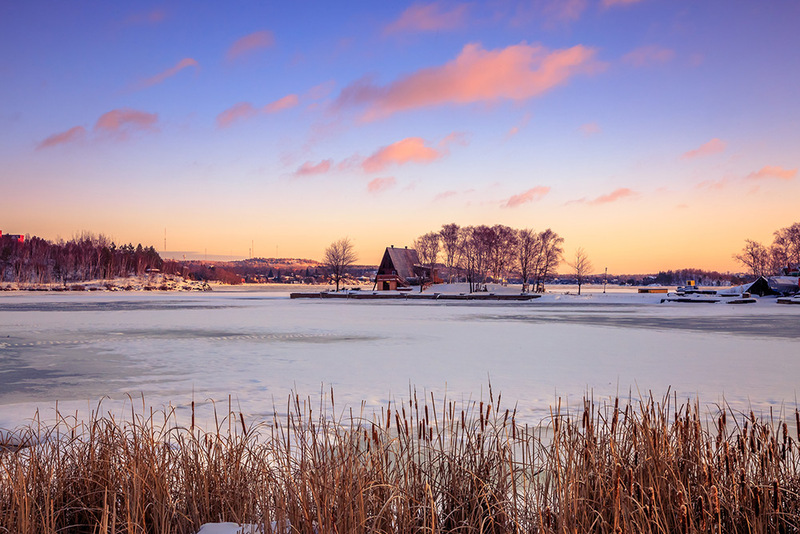 Sudbury is well endowed with sports and recreational facilities, such as hockey arenas and recreation centres. Sudbury was also the first Ontario city to have an Olympic-size swimming pool, which was built at Laurentian University in 1971 and became the home pool for swimmer Alex Baumann, who won two gold medals at the Olympic Summer Games in Los Angeles in 1984 . There are five provincial parks nearby. Within the city, the Lake Laurentian Conservation Area is a very popular destination. Nicola Ross, Healing the Landscape: Celebrating Sudbury's Reclamation Story (2001); Oiva W. Saarinen, Between a Rock and a Hard Place: A Historical Geography of the Finns in the Sudbury Region (1999); C.M. Wallace and Ashley Thomson, eds, Sudbury: Rail Town to Regional Capital (1993). Vale SAClick on the interactive map to view Vale SA's operations in Canada and elsewhere around the world (Vale SA assumed control of Inco Limited). Greater SudburyThe official website for the City of Greater Sudbury, Ontario. Check out the "EarthCare Sudbury" section, a local program designed to the protect the Sudbury environment and enhance community life.